Today Logitech has launched a new webcam bundle for gamers who enjoy games streaming. The aptly named Logitech BRIO 4K Stream Edition Camera provides gamers with a fast frame rate HDR camera and a 12 month premium XSplit license for an RRP of £219.99. Looking around at various retailers the standard edition Logitech BRIO 4K camera tends to sell for approx £190, and a premium XSplit license for 12 months is US$5 per month (US$60, approx UK£47). 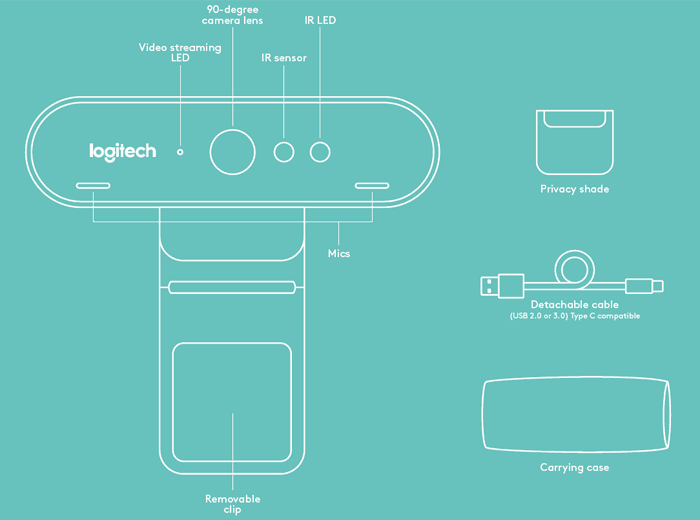 Logitech's BRIO 4K Stream Edition Camera, also available outside of this bundle, is claimed to be the "world's most technologically advanced webcam". It facilitates great quality video for conference calls, streaming, or video recording. This 4K camera includes 5x digital zoom and RightLight 3 with HDR to ensure correct exposure for your face in varied or extreme (low light, bright light, backlight) lighting conditions. Other attractive features of the Logitech BRIO 4K camera include its 5x digital zoom, autofocus and three FOV settings (65, 78 and 90 degrees). The camera supports multiple video resolutions up to 4K at 30fps, 1080p at 30 or 60fps, and 720p at 30, 60, or 90 fps. 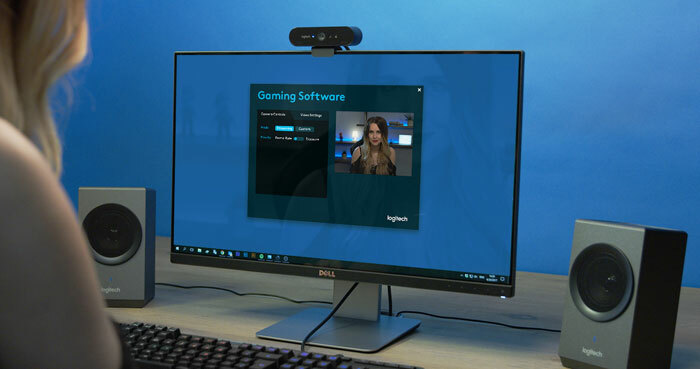 Logitech's BRIO 4K includes an infrared sensor which can be utilised alongside Windows Hello or other security software for facial biometric device unlocking and logins. Users can isolate a subject (background replacement) or just minimise background noise and visual clutter with the supplied software. When not in use, its easy to cover the lens with the external privacy shutter. For sound input the BRIO offers dual omni-directional microphones with noise cancellation. The camera can be mounted using various clips and tripod mounts. You will connect this camera to your PC or Mac thanks to support for multiple connection types such as USB 2.0 Type A and USB 3.0 Type A and C connections. Talking about today's Logitech BRIO 4K Stream Edition Camera launch, Guillaume Bourelly, senior portfolio and product manager of webcams at Logitech said "With BRIO 4K STREAM EDITION, we’ve optimized our popular BRIO camera for streaming. The result is a webcam that has everything a pro broadcaster could want to better engage with their audience: On top of capturing live all details in 4K, the frame rate priority mode enables 1080p/60fps stream with constant frame rate and a complete integrated solution with XSplit Broadcaster." To me it sounds like the only difference between the standard BRIO and the Stream Edition is the bundling of a free 12-month premium XSplit license, which includes XSplit Broadcaster and XSplit Gamecaster apps. Logitech says that OBS also supports the Logitech BRIO STREAM out of the box. Does this one work on Windows 10 versions newer than March 2017? Unlike the existing BRIO? I'm getting a 404 error to the article page. No wonder mobile phones, that can record 4k video, are so expensive. Oh, wait, this webcam should be around £45 if we're being sensible.